Sen. Linda Sanborn (from left) with Dr. Peggy Pennoyer, and Sen. Rebecca Millett in the Senate Chamber. 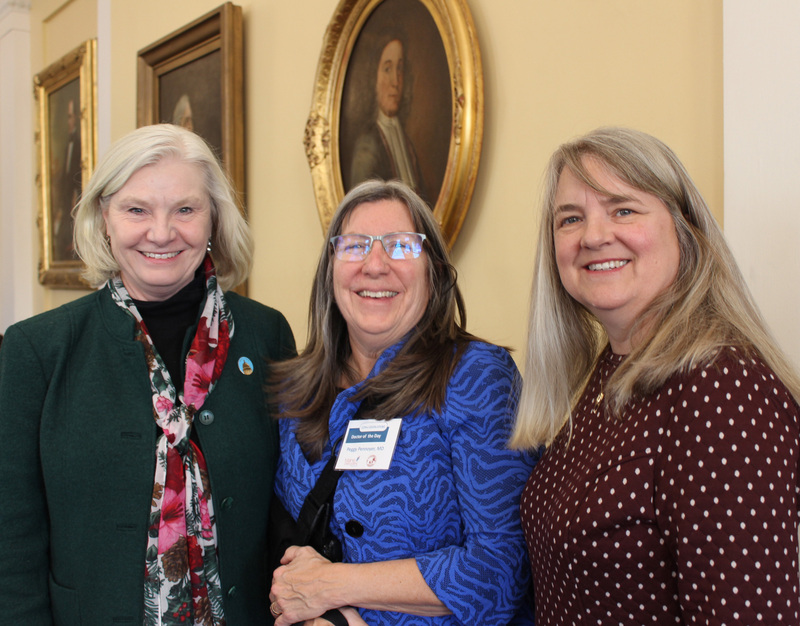 AUGUSTA — Sen. Linda Sanborn, D-Gorham, and Sen. Rebecca Millett, D-Cape Elizabeth, welcomed Dr. Marguerite (Peggy) Pennoyer of Scarborough to the Maine Senate as the Doctor of the Day for January 17, 2019. 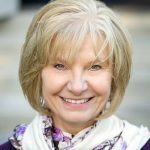 Dr. Pennoyer practices internal medicine and specializing in allergy and immunology. 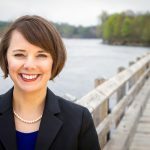 Launched in 1997, the Doctor of the Day is a volunteer program that provides medical assistance at the State House in the event of a medical emergency. 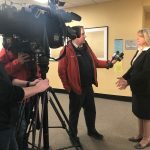 The program operates thanks to the cooperation and support of a number of organizations including Maine Medical Association and Maine Osteopathic Association.